We are near the southwest corner of Midway Airport. 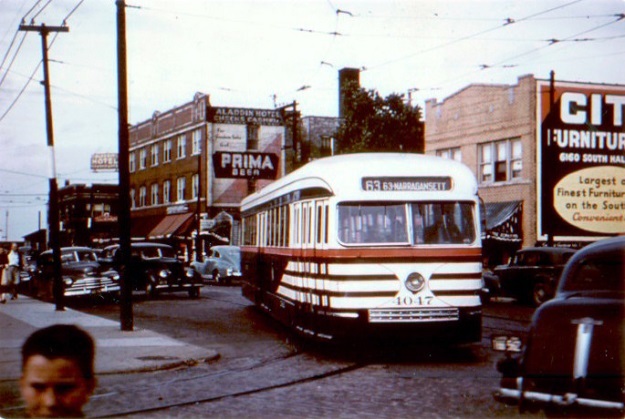 Here streetcars on the 63rd Street line turned onto Central Avenue, ran south for a short block, then continued on 63rd Place and through open prairie to a terminal at Narragansett Avenue. I’ve been told the reason for this was because residents objected to having streetcars on 63rd Street west of Central. However, I’ve not been able to confirm the story. 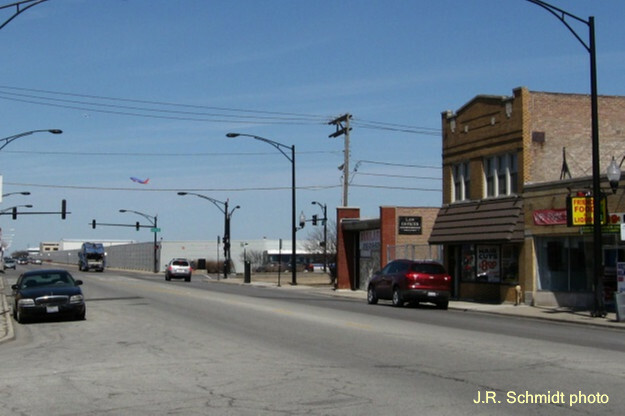 Buses replaced streetcars during the 1950s, and now they stick to 63rd Street. A few of the buildings here have been torn down, to provide a clearer flight path for modern aircraft. In any event, that plane in the newer photo doesn’t seem to have any problems.